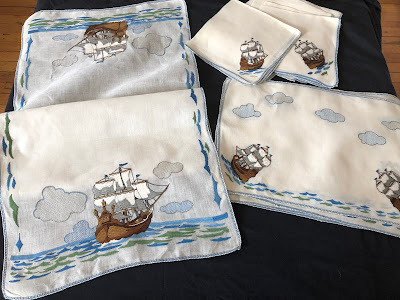 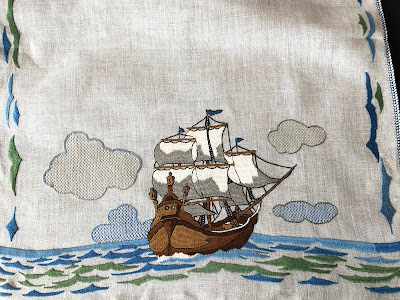 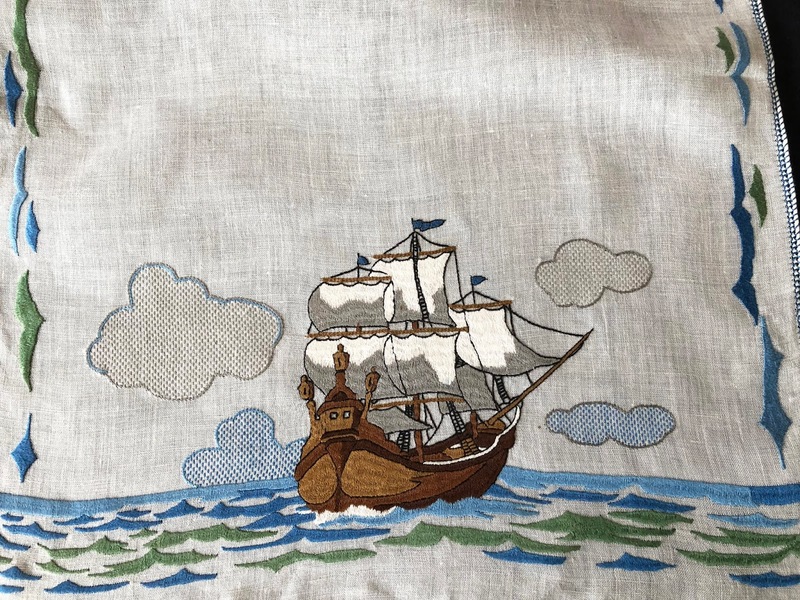 BARONESS RAPISARDI PLACEMAT SET W/POLYCHROME EMBROIDERED GALLEON SHIPS. 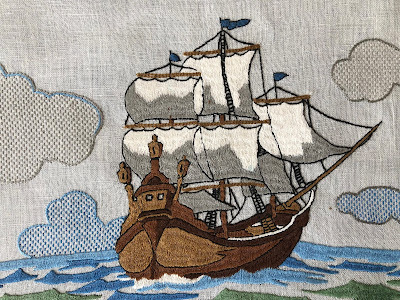 A wonderful placemats set consisting of one long table runner, eight placemats. 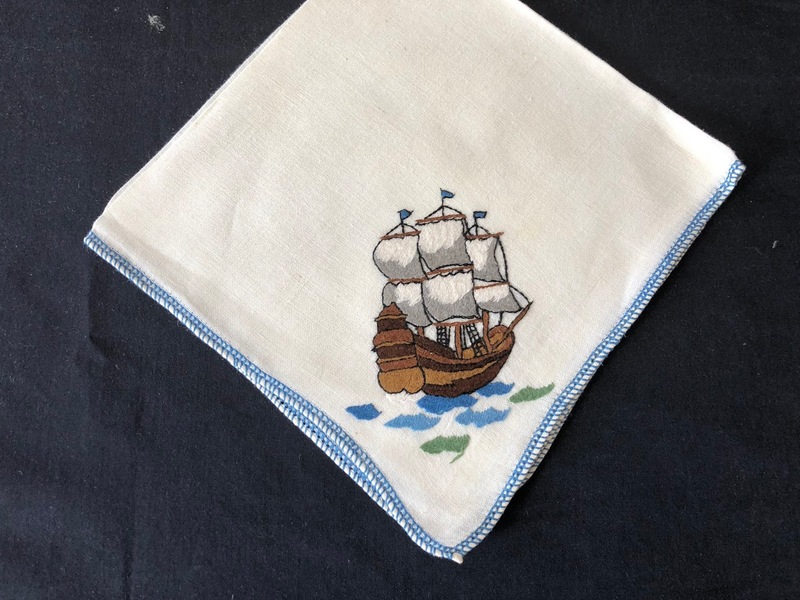 and eight napkins. Baroness Rapisardi organized a needlework school after the second World war to help Italian woman use their skills so they could bring incomes into the family. 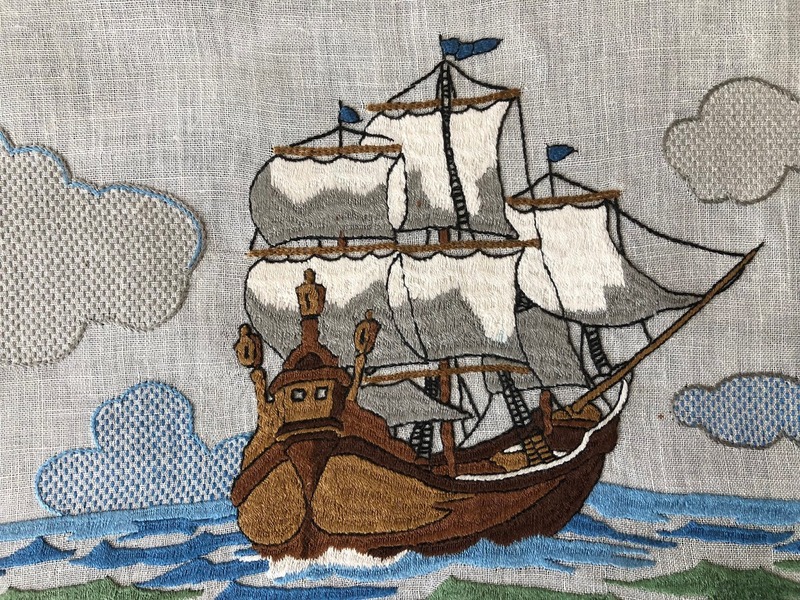 Something similar happened in Ireland during the potato famine, ladies of nobility started workshops producing Youghal and other Irish laces so that it could help families during the famine.The Rapisardi linens were sold in good shops, including Lord and Taylor in New York.The placemat set has exceptional embroidery with designs of large polychrome embroidered Galleon ships ,clouds and water designs.Measuring approx. 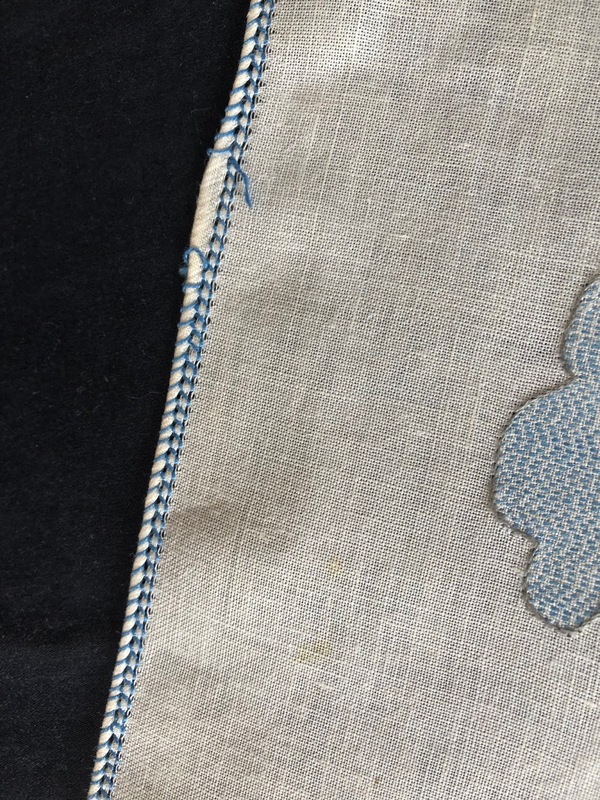 43" by 16" for the table runner, the placemats measure 17 by 11 3/4" and the napkins16 1/2"The placemats set seems unused and so in overall very good condition, a few marks from storage and a couple of area of loss of blue thread on edges,very minor.The set just needs to be laundered.A wonderful set for the collector of linens.